W8 Property Services offer a complete Refurbishment and Building Service to residential buildings throughout West London including Kensington, Chelsea, Mayfair, Notting Hill, Bayswater, Holland Park, Chiswick and Hammersmith. Our business was established in 2003 and is built wholly on recommendation. Our customers include homeowners, property investors and landlords in and around West London. All of our customers share one common requirement, they need a company that understands their customer’s needs and who offer professionalism and reliability to deliver quality workmanship on time and to budget. We take on only a limited number of projects at any one time this way we can keep to the same exacting standards all the time. We will always go that extra mile in order to achieve total client satisfaction. That is how we have built our business and you can be assured of our dedication and commitment to your project, because our goal is for you to want to recommend us too. At W8 Property Services we pride ourselves on quality workmanship using our team of qualified tradesmen either employed directly, or trusted subcontractors with whom we have been working with for many years to achieve our own high standards for all projects regardless of size. 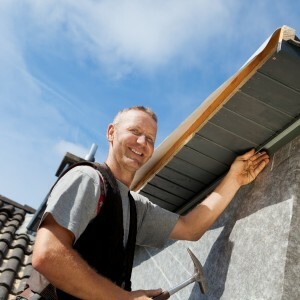 Our team of dedicated tradesmen are second to none and implement our company policy at all times by being courteous, efficient, punctual and will always achieve a quality finish to any works in order to meet the high standards that we as a company demand from them. We constantly monitor all areas of our business thus ensuring that we deliver what you want on time and at the agreed budget. By keeping regular contact with the customer this ensures all works being implemented are exactly what was agreed and therefore alleviates any costly time-consuming misunderstanding that could occur. 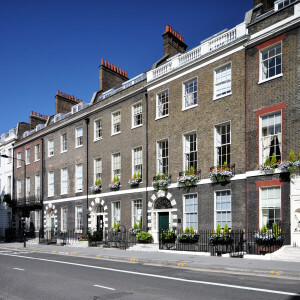 We specialise in all types of property and having worked in West London for many, many years we appreciate the architectural history and the challenges that these present. Our clients dream of living in a beautiful home that embraces modern day building techniques and technology. W8 Property Services can make this a reality. Utilising design expertise, craftsmanship and our proven knowledge of cutting-edge technology, we can create rooms that add an extra level of luxury at the same time as maintaining the timeless ambience of an expertly renovated home. Do you own a prestigious property in West London? Do you want us to transform your property into the home of your dreams? At W8 Property Services, we refurbish client-owned houses to an exceptional standard, offering innovative design, bespoke craftsmanship and a commitment to using only the best materials. Our renovations are also geared towards creating vibrant, exciting spaces that are a pleasure to live in. Our refurbishment and renovations services in West London cover every aspect of your property. From bathroom renovations to kitchen installations, painting and decorating to plumbing, flooring, lighting and electrical. We offer a fully bespoke design service, which includes architects and structural engineers’ drawings, to remodel your home to your exact requirements. We stay in close contact at all times & work together with you, the client, to ensure that you are completely happy with the end result. All of our quotes are free of charge and all of our work is fully guaranteed and comply with required legislation and our team include fully qualified Gas Safe Engineers, NICEIC and Part P Electricians.We have properties in West London that you would be welcome to visit to see our work first hand. We are extremely proud of our company and would welcome the opportunity to meet with you to discuss your requirements and see how we can help you. You can call us anytime on 0207 385 6611 or email us via the contact us page.